Summer’s here and it’s time to hit the road for that annual family road trip. This year do something different and put a little adventure in your summer road trip. We’re heading out on the Adventure Road ourselves and exploring our hometown of Oklahoma City. Join in the fun as we find new family fun in Oklahoma City you really need to try! This summer, we decided to stay closer to home and explore some of the nearby attractions and destinations. Here in Oklahoma, it’s not just plains and prairies. You can find fun and adventure wherever you look. A new travel initiative, called Adventure Road, is highlighting Oklahoma destinations between the Red River (Texas/Oklahoma state line) and Oklahoma City. Whether you are looking for something that is family friendly or something just for the adults, you are sure to find an adventure that is right for you! This past weekend, my family and I hit the road for a family fun adventure. We visited a few of our favorite spots, Oklahoma City Zoo and Science Museum Oklahoma, and a few new ones, OKC Boathouse District RIVERSPORT Adventures and the Museum of Osteology. 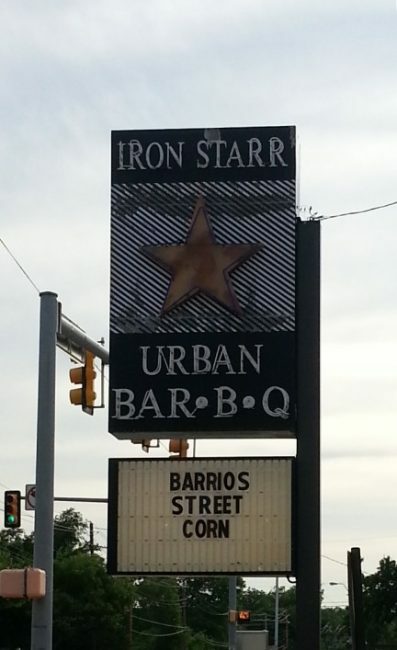 We finished it all off with a, new to us, local restaurant, Iron Star Urban Barbecue. It was such a fun filled weekend that I wanted to share it with you. This year, I turned 40. I still shudder at the thought. But, I vowed to try something new every month from now on. RIVERSPORT Adventures was the perfect place to try something new. It’s the ultimate in outdoor adventure. The kids and I had all day passes to experience all the fun activities they offered; zip lining, Sky Trail, kayaking, rock wall climbing, BMX bike track, Youth Zone, extreme jumping, and more. There was so much to do there. We didn’t get to do everything we wanted to, so we’ll have to return again very soon. This is the Sky Trail. It’s an 80 ft. tall metal climbing structure with rope bridges, balance beams, a 72 ft. slide and a free fall drop experience. You’re harnessed it and sent off to climb to your heart’s content. It was really hot on the day we went and it was great to feel the breeze off the river when we were up there. The kids loved this and were on it much of the time we were there. My kids are fearless and they LOVED this! They had two different zip lines; one in the kids area and another one across the river. The river zip line is 700 feet long and takes you across the river and back again. It’s on my list of things to do on a future trip. After being up in the air, my oldest wanted to be a little more grounded and headed out to BMX track. After he donned a helmet and protective pads, he was riding over hills, ramps, and curves in style. You’d think we were training for the circus with this one. My kids were strapped into harnesses and attached to bungee cords so that they could flip forwards and backwards on a trampoline. They flipped themselves silly, but had a GREAT time doing it. RIVERSPORTS Adventures is a great family fun destination located on the Oklahoma River. Visit them for an amazing adventure. We have been Zoo Friends members (annual pass holders) for years and love going to the Oklahoma City Zoo often. We always enjoy viewing our favorite animals and walking around the zoo. On this visit, we were provided with All Zoo It wristbands that included admission to all the rides, shows, and animal feedings. That included the zoo tram, train, carousel, stingray and giraffe feedings, and so much more! What a FUN adventure! It was a new way to experience the zoo we love and allowed us to try things we’ve never done before. These brightly colored birds are full of personality. We went into their habitat, Explorikeet Adventure, and feed them nectar out of little cups. The birds flew down and landed on arms, heads, and shoulders. They were inquisitive and hungry little birds. This one really liked my daughter’s hair. Even once the nectar was gone, the birds would visit and perch on fingers and arms so we could watch them. It was fun! Can you say you’ve ever had the chance to feed a stingray? At the Stingray Bay exhibit, you can! Just imagine a vacuum cleaner sucking food from between your fingers. That’s what it feels like to feed a sting ray. We all loved feeding the stingrays. It was entertaining and educational all at the same time. When learning is fun, you just have to love it. We LOVED this! If you ever get the chance, you should feed and touch a stingray. It’s a bucket list kind of a thing. A trip to the OKC Zoo wouldn’t be complete for us without a trip to seeing the baby Asian Elephant, Achara, and the other Asian Elephants. The Keeper Chat, held daily, is a great way to learn more about the elephants and their care. The Great EscApe is my favorite exhibit because it features the Gorillas, Chimpanzees, and Orangutans. I love watching the apes in their habitat. It enjoyed watching them in person before we went to see the Wild Chimpanzees IMAX film later that day at the Science Museum. There are so many great things about the Oklahoma City Zoo. They combine conservation, education, and the beauty of the animal world wonderfully. Stop by and see for yourself. Here science comes alive and is so much FUN! The Science Museum Oklahoma is filled with visual and hands on exhibits. Here you can take in a planetarium show or IMAX show, explore the laws of physics, learn the science of Grossology, and more. The kids always love visiting, especially on a hot day. On the museum’s second floor, you’ll find all kinds of fun science related exhibits. This is the space simulator where you can experience space training for yourself. Hands on fun doesn’t get much better than this. Mind Games is an exhibit full of optical illusions. Look at the bicycle in the center of the room. Do you see it? Like everything else in this exhibit, things aren’t as they seem. When you approach the bicycle shape, you find that it isn’t a solid object, but a variety of circles and triangles. The images on the walls change too as you look at them. It’s a wild collection of optical illusions. We went to the Jane Goodall’s Wild Chimpanzees IMAX film. The film told the story of Jane Goodall and the chimpanzees she studied in Africa. It was a great film on nature and conservation. The theater will show 2 different IMAX movies each day. The other film was a space related film. There are so many great exhibits (over 100) here that I can’t share them all here. Go and visit the Science Museum Oklahoma yourself and explore the fun fit for all ages. For a bone museum, you would think the Museum of Osteology would be creepy, but that couldn’t be further from the truth! This small, private museum displays over 300 skeletons in a bright building with a focus on learning. This is a one of a kind adventure because it is the only bone museum in the United States. The skeleton on our right (your left in the photo) is a full grown hippopotamus. I knew they were big, but seeing the skeleton in person puts things in a perspective. Much of the museum is that way. You can look at and compare different skeletons by class, region, and more. 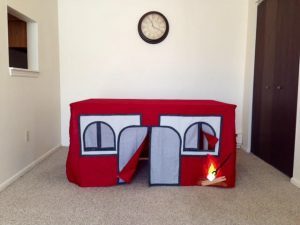 The photo above is of the Cats display. You can see different cats and look at the bone structure. Below, is a shot of the skulls of various pigs, giraffes, camels, and hippos. Each display had great information about what you were seeing. 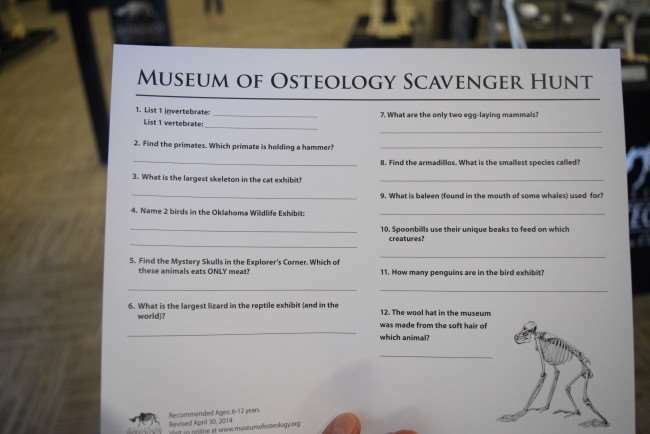 To make it more fun, the museum had a scavenger hunt for the kids. This was the elementary school version. In the Explorer Corner, they offer a hands-on element that allowed you to explore skulls, claws and teeth. 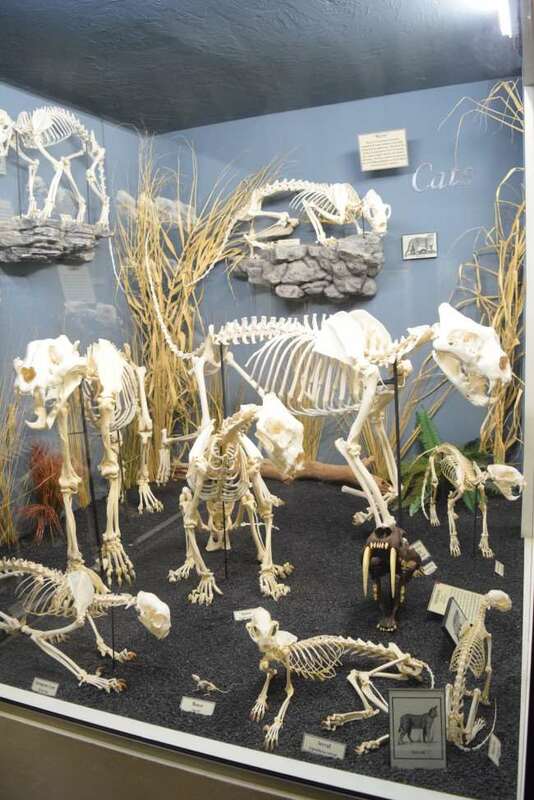 If you want to add a new adventure, then plan on visiting the Museum of Osteology. It’s so unique that it should be on your bucket list! A trip anywhere wouldn’t be complete without a meal at a great local restaurant. Iron Star Urban Barbecue is an amazing local spot featuring upscale barbecue. I hope you’re hungry because you’ll love this place. Iron Star is named for Belle Starr, a notorious Oklahoma female outlaw. They are part of the Good Egg Group, a local group of restaurants that are ALWAYS serving up great food. 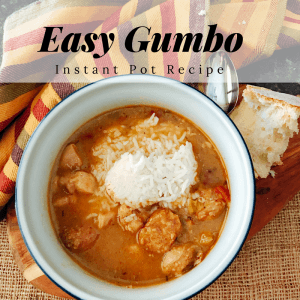 We love great BBQ and this was right up our alley! Ribs? Yes please! These St. Louis style ribs were amazing. I ordered it with Collared Greens and the Barrios Street Corn (shown below). As a dinner portion, it was a lot of food. Next time I will have to order the lite version. The sides were just as good as the barbecue. This is Iron Star’s Barrios Street Corn. It’s roasted corn with crumbled cheese, lime, and cilantro. Simple but soooo delicious. I’ll go back again and again for this corn and and a plate of ribs. My husband had this Prime Rib with Mashed Potatoes and Green Beans. Oh WOW! It was really hard for him to share a bite or two of this steak. It just melted in your mouth. Two of my children ordered ribs, but the third ordered this BBQ Club with Fancy Mac and Cheese. This sandwich was LOADED with barbecue; bacon, brisket, and smoked turkey breast. It was HUGE! The Fancy Mac and Cheese was homemade and delicious. No boxed orange stuff here. It was creamy and loaded with cheese. This was devoured before the barbecue and that is saying something with my children. We definitely didn’t leave feeling we didn’t get enough to eat. We were very full and very, very happy! Thanks Iron Star Urban Barbecue!! The Adventure Road website showcases over 200 travel partners and the Chickasaw Nation. It features destinations and adventures spanning 130 miles along Interstate 35 between the Red River and Oklahoma City. The Adventure Road has an adventure for everyone; families, foodies, outdoor enthusiasts, art lovers, and more. Partners include museums, hotels, restaurants, retail shops, attractions, and more. The website also features events hosted by travel partners. I’m currently using the website to plan another family trip to the Sulphur area and the Chickasaw Cultural Center. So stay tuned. Create the adventure you want based on your interests and locations. It is easy to customize a road trip or staycation on this site. Just log on, create your adventure, and get ready to hit the road. Where will you go on Adventure Road? 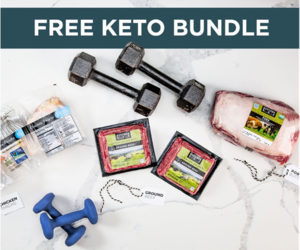 Disclaimer: I received complimentary admission, activity passes, and dinner from the Adventure Road campaign and its travel partners featured here. All opinions expressed are 100% my own. I had no idea that there was so much to do there. It sounds like a great place for a family getaway. Many people are surprised at how much there is to do here. It's a great city filled with something for everyone. Look like you all had an awesome time. My kids would have loved the Riversport Park and the zoo. We had a great time Lydia. I think your kids would like those too! Looks like so many family friendly places to visit. That barbeque looks amazing! It was so good. We will definitely have to go back. Happy Belated Birthday Jeanette! You'll have a blast here. One other things I didn't get to do was stand up paddle boarding. I want to try that next time. We've never been to Oklahoma, but bookmarking this as you have the perfect itinerary for a family with kids. Will definitely use your ideas! Thanks Scott. So many places here are family friendly. If you get the chance to come out here, you'll have a great time. You know, I'm really not too far from OK city. These look like some great sites to see. If you aren't far off, head up for a weekend trip. The website I mentioned can help you plan your trip and you'll have a blast! I know I would love all the museums you mentioned above. I have never been to OKLAHOMA and more then likely will not get there--but if I do I now know what to do and see!! Fun ideas! My parents-in-law live in Newcastle, OK so we have been to the Oklahoma Zoo and Science Museum already. We will have to check out the other places on your list as well! The RiverSport Adventure Park looks really fun! I go thru Newcastle when I head to Texas. Great small town. The Museum of Osteology is off of Sunnylane just south of I-240 and the RiverSport is on the river. There are some new places to visit on your next trip. Go to the Adventure Road website and see what other family fun adventures you can do the next time you are in town. Wow, your trip looks like SO much fun! I want to make this into a long weekend for my family! Looks like a really fun city!! Looks like a great vacation. Fun and educational! Wow, these are the types of things that make me wish I lived closer to a big city! It would be such fun to do so many things with the kids! Adventure Road looks like a super fun place! Great post! We will be driving through Oklahoma next week on vacation...very helpful! There are other great things to see and try in Oklahoma City. Visit https://www.adventureroad.com and find something fun during your drive. Have a fun trip! I have never been to Oklahoma City. But it looks like you had fun! I have never been BUT this post makes it hard not to go...NOW! I had never even thought about Oklahoma but it looks like there is a ton to do! THANKS! Looks like so much fun! I love the diverse mix of activities, including sports like BMX, the science museum, and the food. It all looks fantastic - just proves that you don't need to embark on a luxury vacation in a tourist destination to have an awesome travel experience. Thanks for the post.